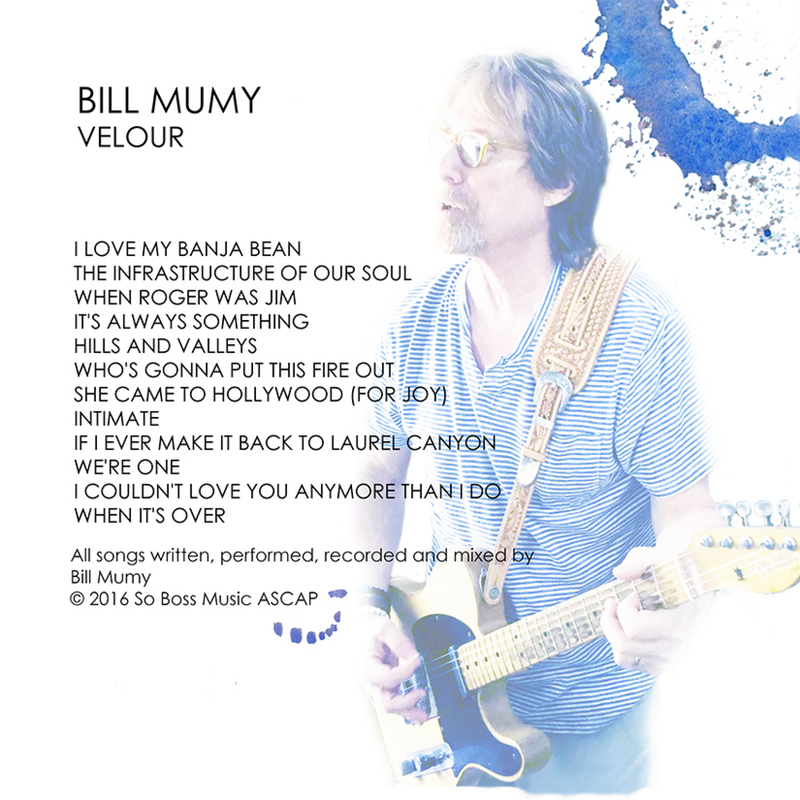 12 songs written, performed, recorded and mixed by Bill. Some rock hard and some are bare and mellow. 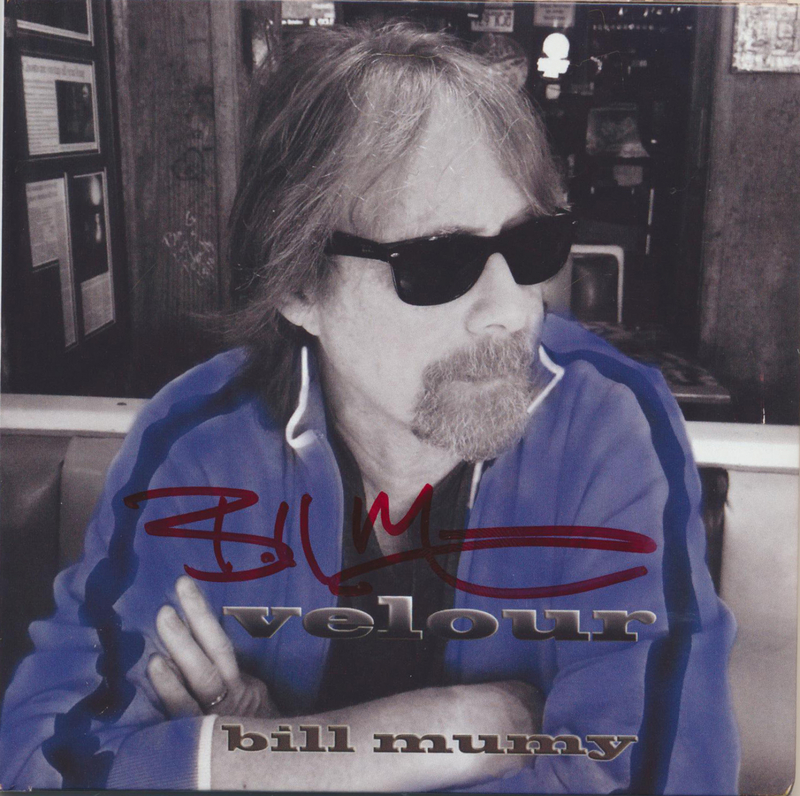 Includes an 8 page booklet with lyrics and info.Inspired by acoustic based classic albums from the sixties such as Rubber Soul, Beggars Banquet, Younger Than Yesterday, John Wesley Harding, Mona Bone Jakon and Friends... "Velour", the brand new release by Bill Mumy, is an album of 12 original songs that is both sparse and full, both intimate and aggressive with minimal yet full production values. Mumy's never rocked harder than he does on "Its Always Something" and he's never been more laid bare than he is on "Intimate". The album harkens back sonically with jangling Rickenbacker 12 strings and biting Telecasters, yet returns to acoustic guitar and piano often at its core. Mumy was an integral part of pop culture in the sixties and he's crafted a contemporary honest album with a foundation firmly laid in the past. Try on "Velour". We're sure you'll find It very comfortable. Photographs by Eileen Mumy. Artwork and design by Angela Cartwright. VELOUR is comfy. Try one on and stay out of the cornfield!